Hospitality at home needn’t become a relic of the past like calligraphy, stone carving, and good pop music. 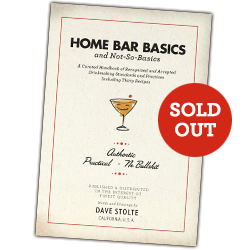 Democratizing the cocktail renaissance is author and illustrator Dave Stolte’s “Home Bar Basics (and Not-So-Basics),” an approachable, concise, pocket-sized, 124-page guidebook with an emphasis on history, quality, and craft. The book includes thirty recipes ranging from standards (Old Fashioned, Tom Collins, Sidecar) to tiki classics (Zombie, Navy Grog, Mai Tai) to today’s exciting craft cocktails (Southern Exposure, Penicillin). Tips and techniques include advice on being a good host, selecting the best spirit brands, when to shake and when to stir, making the best ice at home, and to how to choose fresh citrus. The book features fun original illustrations, handy checklists, and easy-to-read instructions that break down these fine libations into foolproof steps. “Home Bar Basics (and Not-So-Basics)” is wire-bound for easy lay-flat reading and is professionally litho printed in the USA in full color on water-resistant, tear-resistant synthetic paper for durability. The first edition was published November of 2011 and was a Finalist for a Spirited Award® as “Best New Cocktail Book” at Tales of the Cocktail® in 2012 (first edition) and 2014 (second edition). The book is endorsed by Gaz Regan (gazregandrinks, The Joy of Mixology), Eric Alperin (The Varnish, Milk & Honey, Little Branch), and Paul Harrington (Cocktail: the Drinks Bible for the 21st Century). Fans of the project can follow along at Facebook and Twitter. Author, designer, and award-winning illustrator Dave Stolte has spent the last twenty-plus years collecting cocktail recipes, studying techniques, reading yellowed old books, visiting bars around the country, making numerous variations on classic cocktails, researching their history, and pushing these drinks on friends and family. Long story short, he’s a big blowhard about boozing. In writing “Home Bar Basics (and Not-So-Basics),” he consulted with some of the top bartenders in the country and became BarSmarts certified. 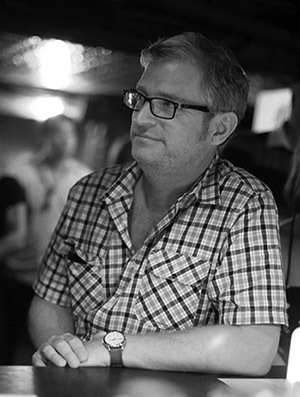 He is Vice President of the United States Bartenders Guild Southern California Chapter and is a West Coast Committee Judge for Tales of the Cocktail Spirited Awards. 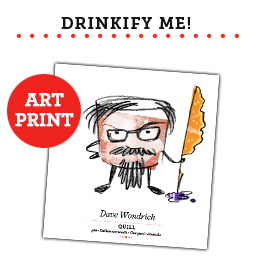 Dave lives in southern California with his wife Kristin, where he heads the design studio Wexler of California and works as a freelance illustrator. Author photo courtesy Tatsu Oiye. Product samples of bar hardware, spirits, liqueurs, mixers, and other items are accepted for review. 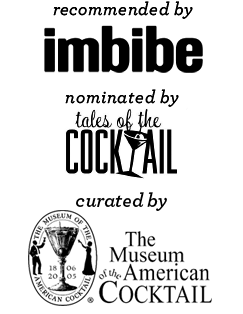 Receipt of product samples does not guarantee a review, and if the product is reviewed, does not guarantee a favorable review. Flavored vodka reps: you have an uphill battle. Fair warning. Please contact Dave Stolte via email for shipping details. Any mention of specific products in the book “Home Bar Basics (and Not-So-Basics)” and its companion website is made solely as a personal recommendation. Dave Stolte receives no financial coercion for these mentions.